Please contact Patricia if you would like to book a belly dancer, or for more information about belly dancing in your event. You will need to provide the details of your event (location, type of event, time, requirements, etc.) so we can provide you a quote. Alternatively you can fill in our booking enquiries form. 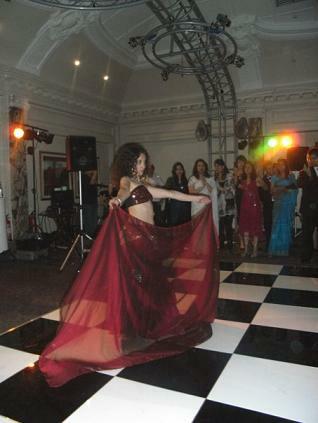 When you hire a belly dancer with us, we will ask you for a deposit to secure your booking. You may need to pay travel expenses when your event is outside of Nottingham.